One of the best things about destination weddings is no matter what your budget or style, there is a destination that is perfect for every couple. You may want a whimsical wedding at Disney World or, if your pockets are deep enough, you may want to consider an unforgettable wedding in Paris. Many couples choose the tranquility of a beach wedding or a wedding in the mountains. When planning a destination wedding, you really need to be the early bird. Traveling in general requires some advance planning, but particularly if you are planning a wedding abroad, you will want to start early and be sure to send save the date cards well in advance with hotel, airport and all the other pertinent information so your guests can have time to plan. Things such as passports, vacation time, and the cost of the trip itself are all things that need advance notice. Many guests, as well as the newlyweds, will want to turn the destination wedding into a vacation. 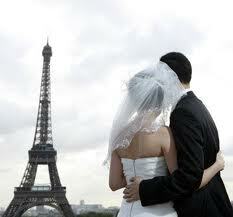 Many newlyweds have their honeymoon in the same location as their destination wedding. 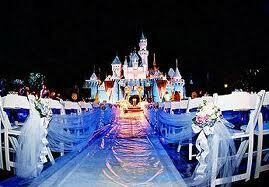 Also, many guests will book some extra time and use the wedding as an opportunity to have a much needed vacation. After all, they are flying in for the wedding anyway, why not book a few extra days and enjoy all the local sites and activities. Cruises are also popular as destination weddings. A really good thing about a cruise wedding is they are usually "all inclusive." You will want to do your research before booking a cruise wedding. Some cruise lines don't have an officiant to perform the ceremony and others want the actual ceremony to take place before leaving port. Also, if you are wanting a Catholic ceremony, you will need to know that your union cannot be completely recognized by the Catholic Church if it is performed on a cruise ship. It can, however, be blessed by a priest. These are all considerations when planning a cruise wedding. While they are not necessarily reasons to NOT have a cruise ship wedding, they should certainly be taken into consideration during your planning phase. 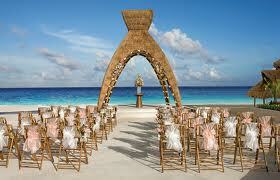 Of course, one of the easiest ways to plan a destination wedding is to hire a wedding planner. Wedding planners have years of experience and many resources to work with. Even if you hire a planner that is not local to your destination, you will still be better off than trying to navigate everything on your own. Often you can save the cost of the wedding planner many times over because they are able to negotiate better prices on the services and items you need for your wedding to come off like a dream. Other things to think about when planning a destination wedding are visa requirements of the destination you choose, marriage license requirements, passports, immunizations that may be necessary, and documentation you may need before and after your ceremony. These are just a few of the things you will need to think about when planning your destination wedding. Again, the importance of hiring a wedding planner cannot be stressed enough. Even if you hire the planner on an as needed basis, you will still come out ahead of the game by saving time and headaches by using the planner's knowledge.